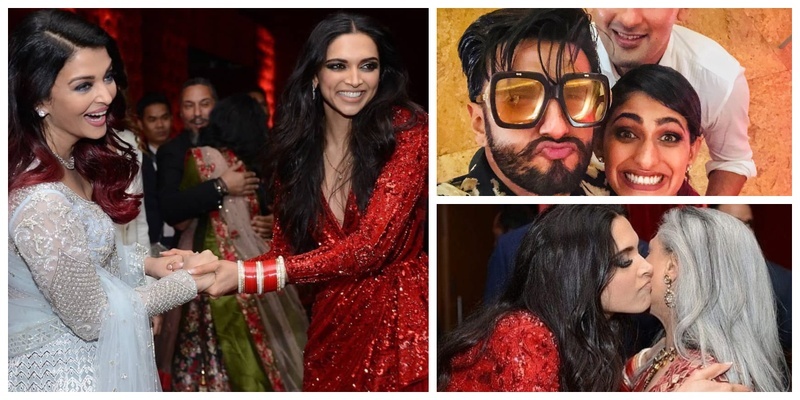 All the insider pics from Deepika and Ranveer's star-studded reception! Have you ever heard of the saying “curiosity killed the cat, but satisfaction brought it back”? This saying applies to all the DeepVeer fans who almost died waiting and were left stunned after seeing the spectacular pictures of Bollywood’s best couple! On 1st of December these two lovebirds hosted a reception for their B-Town friends. The star studded affair screams “BLING”! Checkout the unseen pictures from their reception! Meet and greet with the first family of Bollywood! How awesome does the couple look with all these Punjabi singers? Chunky Pandey’s daughter Ananya grew up to be such a beauty! Starkids and future stars Sara Ali Khan and Ananya Pandey are clearly having a gala time! Can’t take my eyes off from Ranveer Singh’s outfits! Dhoni looking his dapper self with wife Sakshi! Neeta Ambani is looking so regal! Did satisfaction bring you back?